Egg Tray pulping system is the first step of a pulp molding production line, which is applicable to turning waste paper into pulp. 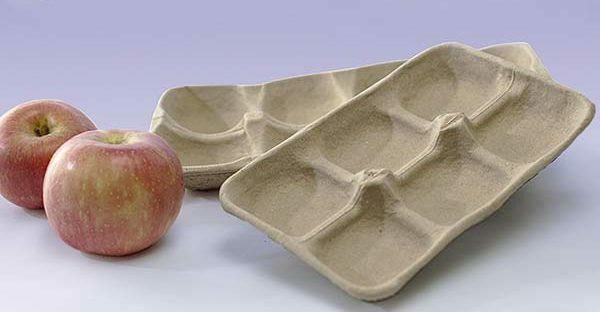 As we know, the smoother the paper pulp is, the better the molded products are. Considering the basic role of paper pulp, each production line requires a sophisticated pulp making system. 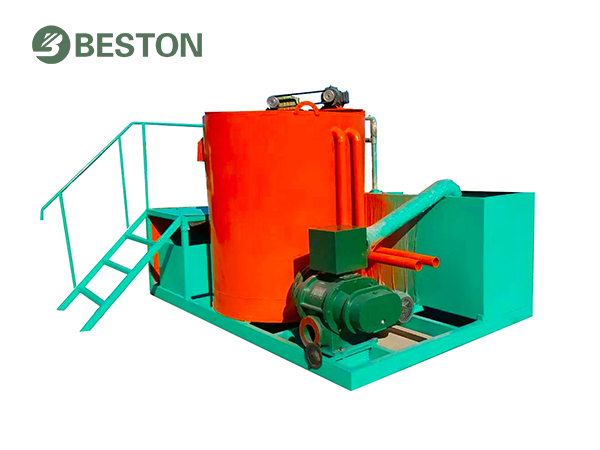 Beston Machinery offers a complete pulping system to improve pulp quality. It consists of hydraulic pulper, pulp refiner, pulp pump. With our first-class technical team, each piece of equipment included is reliable and advanced. Remarks: 1. We figure out these parameters above on the basis of egg trays of 0.1 kg. 2. The differences between the same model mainly have to do with different drying systems. What Is Egg Tray Pulping System for? Making pulp from waste paper is essential in a pulp molding production line. It directly influences the quality of pulp molded products. In other words, egg tray pulping system attaches the same importance to molding system. 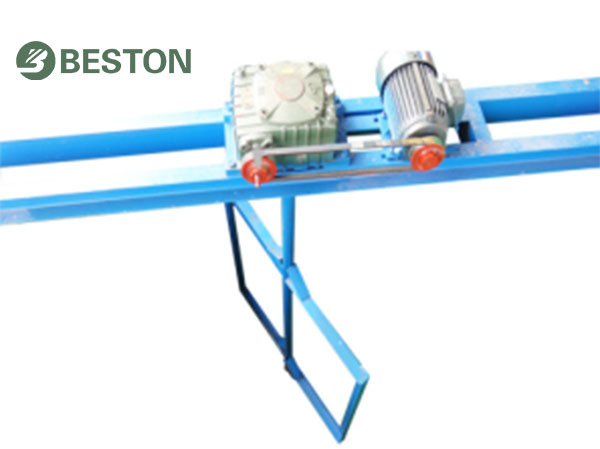 Beston is well-known for manufacturing egg tray machine. 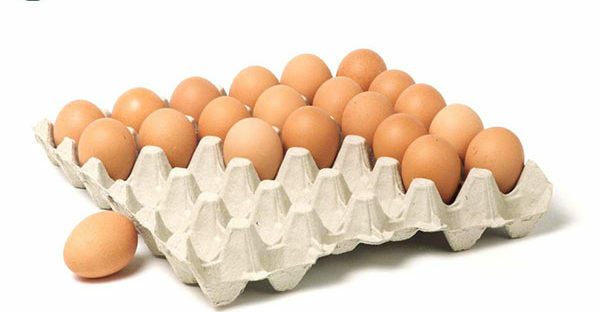 We also develop a complete pulping system to fit all kinds of egg tray equipment with various capacities. As always, our products have gained a great reputation around the world. 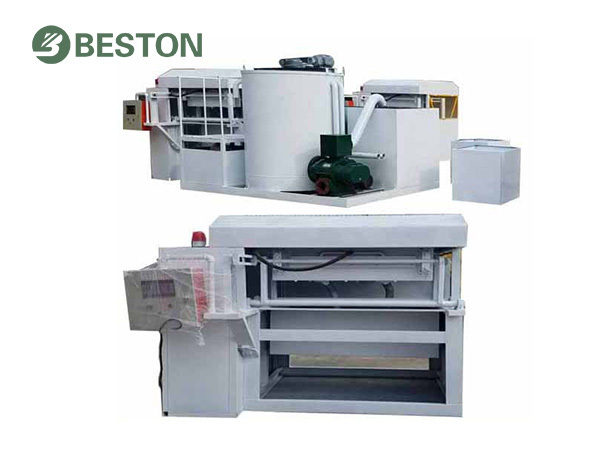 Here are some hot pulp molding machines from Beston. 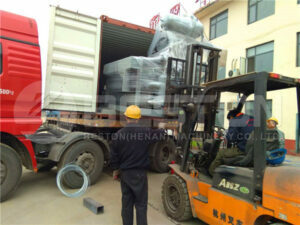 We will supply the related pulping equipment and professional design according to the real conditions of customers. Notice: The scale of pulping system will be adjusted according to the specifications and automation of paper pulp molding machine. Moreover, we also provide a more convenient and easily-operated integrated pulping system, which is suitable for small egg tray machine. This system makes great differences in reducing the occupied area, construction work and transportation costs. Therefore, it is popular among customers around the world. We need to put the egg tray raw materials, like old newspaper, old books, waste paper, cardboard boxes into the hydraulic pulper manually. Then the raw materials are stirred, rubbed and smashed with water in appropriate proportion. While turning into fiber suspensions, the impurities will be filtered out. Then the screened pulp is temporarily stored in pulp pool and reprocessed by pulp refiner with necessary chemical additives. The refined pulp in the stirred tank is prepared for paper tray forming machine. There may be more than one stirred tanks due to different sizes of a production line. In this workflow, Beston has been devoted to keeping all tools necessary and simple to ensure pulp making smooth and easily-operated. What’s more, the egg tray pulping system is influenced by many factors, such as temperature, the concentration of agents, the beating time and the properties of raw materials. As for different pulp products, different degrees of smoothness and viscosity are required. That is why it is necessary to control the proportion of water and chemical addition agents, as well as the time. Beston also provides you with professional technical guidance and training. You can handle the working process and maintain the equipment of egg tray pulping system easily. It is the commonly used equipment of egg tray making machine to repulp the raw materials. We often apply it to processing pulp board and paper products through rotational motion. Besides, with the internal sieve plates, the acceptable fiber is screened and taken to the pulp pool, while the impurities like rags, nails, etc. are removed. In this way, the pulper can always work smoothly. Owing to the property of pulp directly affects the quality of molded products, it is crucial to choose a good hydraulic pulper. On the other hand, a good hydraulic pulper can decrease the labor input and increase the yield of pulp. The pulper we provide has strong pulp ability with low power consumption. After preliminary processing by hydraulic pulper, the pulp is transported through pulp pumps to the stirred tank. Then this equipment makes the pulp smoother and more well-proportioned by stirring constantly. Chemical additives, such as pigment, thickener can be added and mixed evenly. The refined paper pulp is stored in the tank below the pulp beater, which can be used for molding directly. As an essential part of egg tray machine, it is easy to install due to the simple devices and high safety. This is a conveyor in a paper pulp egg tray production line, which helps to supply pulp between pulp pools and pulp molding machine. 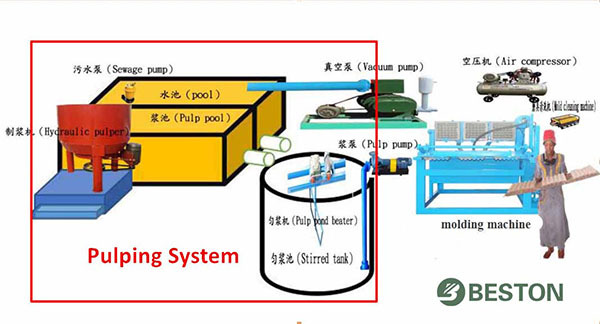 In other words, with the help of pulp pumps, the positions of pulp pool, stirred tank and paper pulp molding machine will be more flexible. The pumps used are with sufficient power to ensure continuous pulp supply. Therefore, the limits of landform will be greatly reduced. Except for the equipment mentioned, there are some other components, such as pipelines. These components are important to connect the main equipment together. In general, the egg tray pulping system is easy to operate and maintain. Furthermore, it is cheap to build and durable to use. Meanwhile, all equipment we provide in this system is of superior quality. Above all, our mature process can make sure to produce fine paper pulp with less labor force and lower energy consumption. In terms of the egg tray equipment, you will find that our company always commits to making each detail perfect. 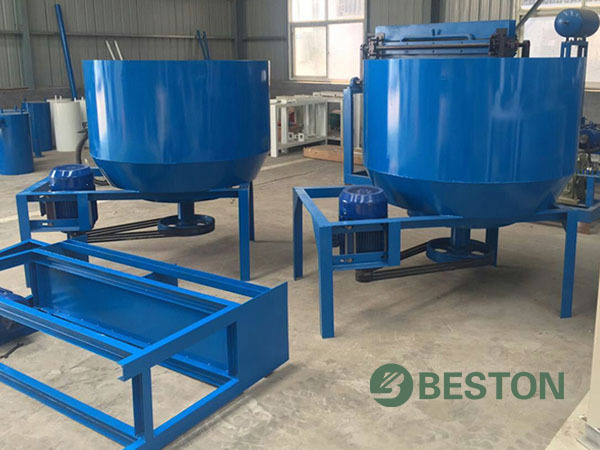 To sum up, you can trust Beston, an experienced egg tray machine supplier, will provide the best products and services for you. Contact us NOW!